Seafood is a delicious and healthy option for this week’s dinners. That’s why this week we’re Meal Planning with Seafood. Seafood is not something that is on my family’s menu very often. My last trip to the grocery store, I decided to introduce at least three different seafood meals. Meals that were very basic and that I could introduce easily to our kids. The first dish was a Marinated Toasted Black Pepper Tilapia, which was recommended by a fellow consumer at the grocery store. It was already perfectly marinated and our first experience tasting this type of fish was delicious. It wasn’t too salty nor bland. I just popped the fillets in the oven, and added a salad as a side dish. You could also serve this with your favorite rice dish, and you would have an exceptional seafood dinner in no time. It will definitely be on my grocery list for future menu planning. 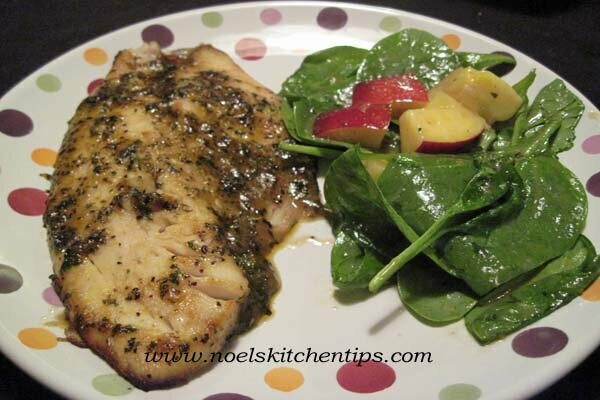 I served the Tilapia with a Spinach and Nectarine Salad with a Honey Dijon Vinaigrette. For Sunday’s menu, I wanted something simple and quick for our meal that didn’t require the use the oven. An easy sandwich sounded like a good idea for our lazy Sunday night menu. We’ve had Chicken Salad Sandwiches on our Sunday Dinners before and I wanted to try making a refreshing sandwich using the imitation crab that I picked up on my last grocery trip. Crab flavored seafood is simply Surimi. It is inexpensive and can be stored unopened in the refrigerator for up to 2 months and in the freezer for up to 6 months. If opened, it must be used within 3 days. It’s a perfect ingredient for creating salads, sandwiches, casseroles and soup. Open package of crab flavored seafood and blot with a paper towel to remove excess water from meat. Place into a bowl and with a fork pull apart meat to make it slightly “stringy”. In another bowl mix together the mayonnaise and cream cheese until smooth and creamy consistency. Add lemon juice, stir. Then add crab mixture and lightly stir. And finally the celery and onion. Mix well and refrigerate one hour before serving on your favorite sandwich roll. I served mine on a homemade roll. What are some of your family’s favorite seafood meals? As always, my quick and easy recipes for Busy Moms can be found on my website Noel’s Kitchen Tips.com. 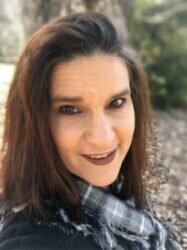 for some of my recommended appliances, storage and kitchen needs along with some of my favorite cookbooks and aprons to help you with your family meal planning. Would you like to join our growing Healthy Lifestyle page? Share recipes and tips with others? Join the me over at my Health and Lifestyle page on Facebook. Pingback: What to dip in white chocolate fondue?